LEOMINSTER — Any federal employee affected by the government shutdown who is experiencing financial hardship is welcome to utilize the Food Pantry Program at the Spanish American Center, 112 Spruce St.
LEOMINSTER — As she reached the final stretch of a challenge to live off just $4.65 of food per day, state Rep. Natalie Higgins said she was experiencing fatigue, weight loss and a mounting craving for the iced coffee she’s been going without the last few days. Higgins’ new diet routine has been part of a weeklong challenge from the Worcester County Food Bank and Greater Boston Food Bank for legislators to live within the same financial restrictions as people buying food through the Supplemental Nutrition Assistance Program, also referred to as SNAP, but more commonly known as food stamps. Since Monday, Higgins has eaten a breakfast of oatmeal, peanut butter, and a piece of fruit; a lunch of lentil soup and a dinner consisting of black beans and rice with frozen vegetables. In conversations she’s had with other participating state legislators, Higgins said she’s heard how they’ve also been struggling. One, a parent of three children, has had to start purchasing sugary breakfast cereal because that’s the only thing affordable. Another, who relies almost exclusively on eating takeout, has been having a hard time preparing meals with such limited ingredients. Higgins has been working to maintain her vegan diet and has been getting tips and suggestions from constituents who have had to subsist off the SNAP program, she said. While the need to expand resources to people with food insecurity has been a priority for advocates in the past, Worcester County Food Bank Advocacy Director Liz Sheehan Castro said the current challenge was inspired by language in the attempted 2018 reauthorization of the U.S. Farm Bill, which covers SNAP policy. The reauthorization would have cut over $20 billion from the SNAP program over 10 years and forced work requirements on its recipients. The bill, which was moving through the U.S. House of Representatives, died on the floor in a 198-213 vote in late May when 30 Republicans voted with Democrats. “They were looking for cost savings and program efficiencies, but the way they went about it was looking at who would be eligible and how much in benefits they could receive,” said Sheehan Castro about the bill. 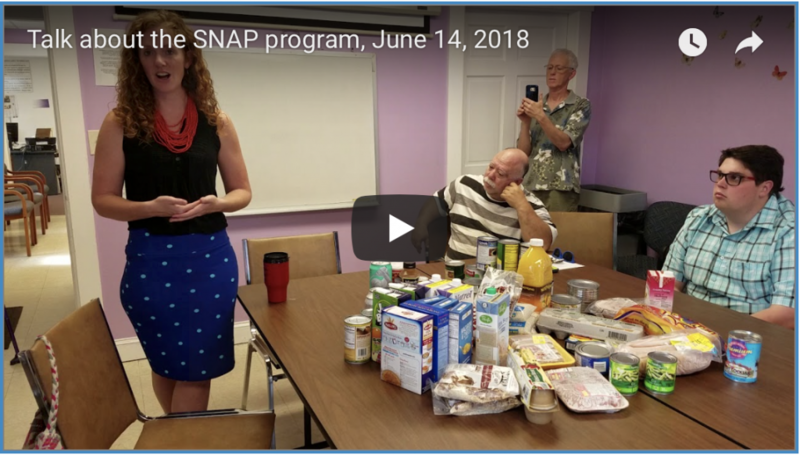 She joined Higgins and the staff of the Spanish American Center on Thursday to discuss SNAP but also the levels of food insecurity in this region. Because SNAP benefits don’t really provide enough money to feed families, many are given food from the center’s food pantry. And this number has increased following the recent influx of residents from Puerto Rico and immigrants from Latin American countries. A total 180 households, representing a total 541 individuals, came to the Spanish American Center for food assistance last month, which according to center staff, represents an increase of 315 percent over last May. LEOMINSTER — It was as much a call to action as it was a promise of actions to come Saturday morning as Democratic U.S. Reps. Jim McGovern and Luis Gutierrez of Chicago held a roundtable discussion on issues impacting the Latino community. The sweeping conversation with local residents covered the Deferred Action for Childhood Arrivals program, the lingering effects of Hurricane Maria in Puerto Rico, and accusations of the Trump administration’s mishandling of these issues. “I want people to understand they have power to change things for the better and they need to be engaged locally, at the state level, and at the federal level,” McGovern said. “Now is the time to fight for these things. McGovern, currently the ranking member of the House Rules Committee, said he plans to be appointed the committee’s chairman after this fall’s elections, allowing him ensure votes will be taken on some of the issues talked about Saturday. “The Dream Act will come to the floor (and) universal background checks will come to the floor,” he said. “These are only things I can guarantee if I’m in charge, but a livable wage (and) making sure women are guaranteed the same salary as men.” Gutierrez spoke at length about the cities and towns across the country having to find ways to support Puerto Ricans displaced by last year’s hurricane and criticized President Donald Trump and the federal government’s approach to helping the island recover from the storm. “All he’s done is transfer the responsibility,” he said. “This is the richest, most powerful country in the world and the most technologically evolved country in the world, but have we acted like one?” Among Gutierrez’s suggested actions the U.S. take in Puerto Rico were creating six separate electrical grids across the island to prevent power blackouts and a planting program to restore the massive loss of vegetation from the storm that has contributed to a drop in drinking water quality. Gutierrez also called for increased investment in wind and solar energy on Puerto Rico, which he said would help attract new businesses to the island. “We’re using old modalities instead of using new ones. We could show Puerto Rico as a place where we don’t leave a footprint,” he said. For attendees like, Jeanne Klimowicz, a long-time volunteer with the city’s Spanish American Center, hearing ideas members of Congress have for problems in Puerto Rico was the main reason for her coming to Saturday’s event. “I want to hear about Puerto Rico because people ask us about it all the time. I’m here mainly for information so I have something to tell people,” she said. “There are so many people walking around who just don’t know what’s going on.” Valentina Advilar, a fifth-grade student from Fall Brook Elementary School, said she attended so she could learn how she, as an American, can help Dreamers living in the U.S. She was the first audience member to speak during the event’s Q&A session and was urged by Gutierrez to encourage Dreamers to renew their DACA applications, as federal courts have ruled in favor of the program. She said afterward she was happy with Gutierrez’s answer, as well as the rest of what she heard from the congressmen. Linette Hernandez, sitting with her nephew, Noel Davila, 1, tears up as she speaks at the Spanish American Center in Leominster on Friday about relocating to the area from Puerto Rico after being displaced by Hurricane Maria. See a slide show at photos.sentinelandenterprise.com. SENTINEL & ENTERPRISE / JOHN LOVE Sentinel and Enterprise staff photos can be ordered by visiting our SmugMug site. LEOMINSTER — It’s been more than six months since Hurricane Maria displaced many of Puerto Rico’s residents, scattering them across the country to unfamiliar new homes. 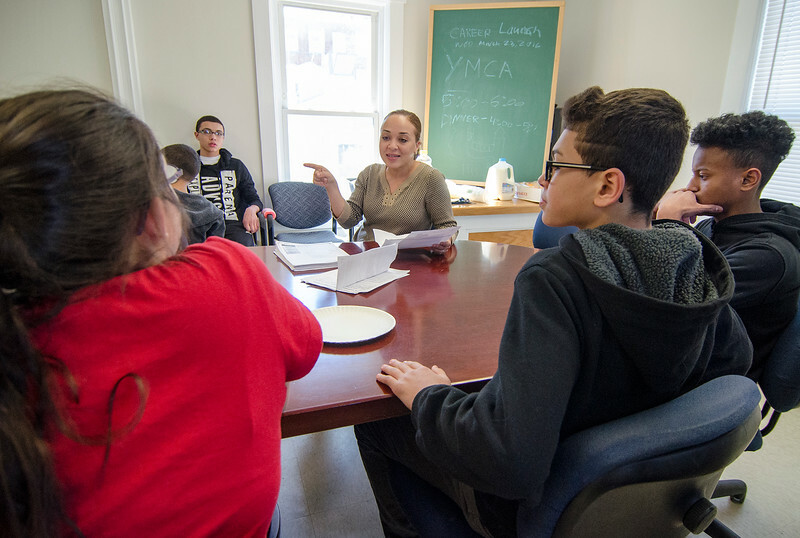 Of the estimated 234 families who sought shelter in the communities of Leominster and Fitchburg, 14 refugees gathered at the Spanish American Center on Friday to reflect on what their new lives as New Englanders have been like. The emotional, often-times tearful, gathering was a roundtable discussion in which people shared the stories of their journeys. All of the guests spoke only in Spanish, but their experiences were relayed with the help of a translator. Though they lost their homes and jobs in last year’s storm, Spanish American Center staff say Mariela Huertas, Alex Cora and their two children are among the luckiest families to come from Puerto Rico. “It was a very difficult decision as a family, coming here,” Huertas said through her translator. “The idea was for (Cora) to move here with relatives first and try to get things expedited for the whole family, but the children were upset and missed their dad. It was a choice to move everyone at the same time, even though we weren’t prepared to do so.” This meant the entire family would have to move in with the relatives who initially prepared to house only Cora. The four of them all had to sleep on the floor of their relatives’ living room for two months before they were able to find a place to stay. However, things have slowly improved. Cora was able to apply for a full-time job in a local factory two days after arriving and has been earning enough money to support his family. They’ve since moved into an apartment and are so happy with the education their children are receiving that the couple are making Leominster their permanent home. Jennifer Narvaez moved to the area about the same time as Huertaz and Cora, but didn’t enjoy the same luck their family had. Navaraez, a mother of three, initially planned to stay with a relative living in Leominster, but was kicked out of the apartment in the middle of a snowstorm when she refused to pay an additional $600 her relative’s landlord required. She was placed in Leominster’s Motel 6 by the Federal Emergency Management Agency in December and was given a housing certificate. But it wasn’t until two weeks ago that she was actually told there was an apartment she and her children could move into. “Between the last two weeks and now, life has been a 180-degree turnaround,” she said through a translator. The family now has medical insurance and is no longer cooking all of their food in a motel microwave. 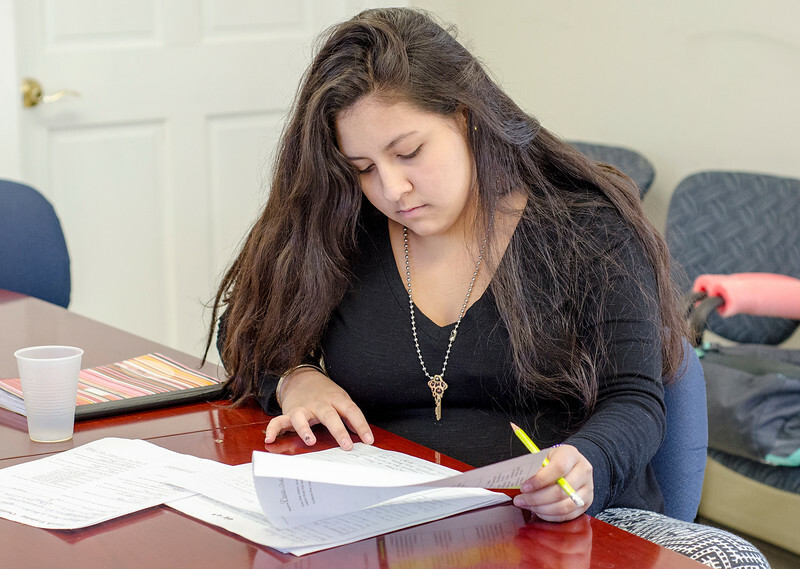 Narvaez was also able to save enough money to buy a car, but is still struggling to find permanent employment because of her limited English skills, a common problem among those unexpectedly forced to uproot their lives after the hurricane. Such is the case for Hector Ramos, a former painting and roofing contractor who holds the unique distinction of being one of the few local Puerto Ricans to relocate to the area alone. Ramos initially arrived in Boston, but was moved by FEMA to Leominster, then Worcester, and eventually back to Leominster, where he hopes to stay. He met the owner of a local pizza shop since coming back to the area and has been doing odd jobs at the business in exchange for being allowed to sleep in one of the restaurant’s spare rooms. Ramos spends his spare time volunteering at the Spanish American Center. “He’s willing to use whatever time he has to support this agency,” said Ramos’ translator. “He feels that even though he hasn’t come full circle, at least he has survived and has friends.” Even though he acknowledges he is technically homeless in a country where he doesn’t speak the language, Ramos explained through his translator that he wants to stay and move beyond a life of just surviving. “He had his opportunities in Puerto Rico, his successes and his issues. Now he doesn’t feel that things aren’t so bad that he could do better,” he said through his translator. “He plans to stay here and go through all the struggles in Massachusetts and make this his home.” Follow Peter Jasinski on Twitter @PeterJasinski53. LEOMINSTER — The Spanish American Center will hold a roundtable forum Friday to discuss the after-effects of Hurricane Maria to recognize the six-month anniversary of the storm making landfall in Puerto Rico. The event will feature conversations with individuals lived through Maria and the relocation process to the mainland, including new local residents who moved to Massachusetts following the storm. The event will be held on Friday at 11:30 at the Spanish American Center. LEOMINSTER — What would normally serve as the Spanish American Center’s main conference room has been temporarily transformed into a local version of the North Pole. This is where the presents that will go to roughly 200 local children are currently being kept until they’re ready to be placed under the tree on Christmas morning. “We’ll have people come in and say they don’t have money, they don’t know what they’re going to do for Christmas, so when they find out about this, they’re so happy,” said staff member Wanda Ruiz, who serves as one of the organizers of the annual toy drive. “Some shed tears because they don’t have the income to do this. The toys, which were donated by the Telegram & Gazette, are distributed to children from families-in-need from Leominster, Fitchburg, Gardner and other surrounding towns. It’s been a tradition at the center for over a decade now. As Ruiz explained, many of the families being assisted this year have been affected by domestic violence in some way. Many have recently had to flea their homes to escape abuse, leaving most of their possessions and money behind. “This helps us with a lot of our clients, they could be fleeing from home and don’t have anything so we want to give them piece of mind at Christmas,” said staff member Monica Rodriguez. “We do have a few more kids this year with all the families that have come from Puerto Rico. The effects of Hurricanes Irma and Maria this fall led to countless Puerto Rican refugees relocating north in recent months. The School Department recently reported that roughly 50 refugee students had enrolled in Leominster schools since the storm. “We are trying to welcome everyone, but when it comes to programs and services, we just don’t have the resources,” said center Director Neddy Latimer. Which is why being able to had out presents this year, Latimer said, has taken on an even greater significance in Leominster this year. Aurea Carrion sings and Mickey Guzman plays drums as they entertain the crowd at the Spanish American Center on Tuesday to help celebrate National Hispanic Heritage Month in the wake of twin natural disasters in Mexico and Puerto Rico. See video and slide show at sentinelandenterprise.com. SENTINEL & ENTERPRISE / JOHN LOVE Sentinel and Enterprise staff photos can be ordered by visiting our SmugMug site. LEOMINSTER — Sandra Frederick was invited to the Spanish American Center’s Hispanic Heritage Month celebration on Tuesday, the day she met with the organization’s director for help navigating services available to her mother. Frederick’s mother flew out of Puerto Rico hours before Hurricane Maria made landfall on Sept. 20. She flew alone, because the rush of evacuations meant the rest of her family couldn’t find plane tickets out. Her mother has dementia, explained Frederick, adding another stress to the list of her worries when she learned her mother went missing while at a layover in Philadelphia. Airport security located her mother six hours later, placing her on flight to Massachusetts, her final destination after leaving the storm-battered island. Yael Aleman, 8, enjoys the feast with his mother, Aileen Lozada. SENTINEL & ENTERPRISE / JOHN LOVE Sentinel and Enterprise staff photos can be ordered by visiting our SmugMug site. 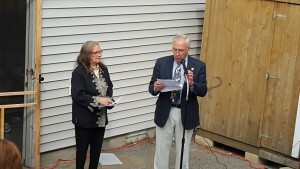 LEOMINSTER — Event organizers had hoped for sunshine for the Spanish American Center’s 50th anniversary party, but Saturday’s rainstorms may have done a better job of highlighting the significant impact the local nonprofit has had on community members. Despite the downpour, dozens of local residents crowded under tents set up in the center’s parking lot to eat, dance and celebrate more than half a century of community service. “They really serve a purpose here,” said Jim Jancietis, a French Hill resident who lives a block away from the Spanish American Center. Jancietis said recognizing the important services provided by the center had been reason enough for him to brave the wet weather Saturday. “We’ve been having plenty of fun here today,” he said. 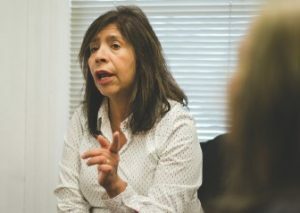 Initially opening as a resource for Puerto Rican citizens moving to Massachusetts in the 1960s, the Spanish American Center has since blossomed into a multifaceted support network, helping local residents of all ethnic backgrounds with issues ranging from hunger, unemployment and coping with the aftermath of domestic violence. “The mission of our agency has always been to better the quality of life for all, so that every person lives in a safe and prosperous society,” center Director Neddy Latimer said in her Saturday morning speech. “Today, we celebrate the joys and accomplishments we have had during the years. “As Mickey Guzman, the center’s family advocate, explained, the area’s immigrant population has only grown over the years, further increasing the number of people center staff are regularly working with. “There has been a population growth of Hispanics over the past 50 years,” he said. “The Spanish American Center has provided services to individuals from all the 20 Spanish-speaking countries.” Representatives from many of the other social service agencies center staff work with on a frequent basis were also present to celebrate the center’s anniversary. Community Health Connections outreach administrator Zuly Fernandez-Preville was among those enjoying the party. “It’s been great. We’ve been talking to a lot of people, meeting people we might work with later, and listening to this great music,” she said. 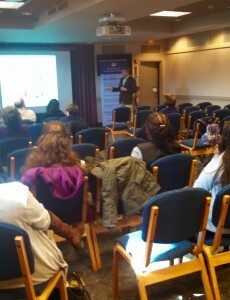 Fernandez-Preville was accompanied by Yarisbeth Guzman, a marketing consultant with ICK Assurance Home Health Care. “We want to support the people here and this 50th anniversary,” she said. “They are great and genuinely help the community. Any thing we can do to support them, we want to do it.” Follow Peter Jasinski on Twitter @PeterJasinski53. 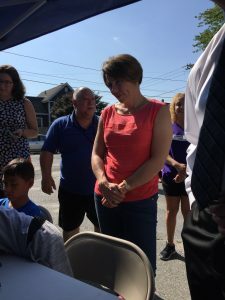 LEOMINSTER — As she navigated a gaggle of gleefully screaming children playing tag outside the Spanish American Center, Attorney General Maura Healey joked that she didn’t think she’d be joining in. “I’m pretty daunted by the likes of this crew,” she said of the children. “They look pretty fierce.” Healey and dozens of local kids braved the sweltering 90-degree heat Wednesday morning for the Spanish American Center’s Summer Youth Program, to which the attorney general donated nearly $6,000 as a part of her office’s Healthy Summer Youth Jobs Grant Program. Center Director Neddy Latimer said the money will allow her to pay five of the teenage volunteers who work in the annual five-week program. “It’s so important to keep the kids busy. Now, before school starts, they could maybe buy some clothes because they’ll have the money,” she said. As much as the money will help ensure the quality of services offered to the younger kids who take part in the youth program, Healey said the money is also creating important job opportunities for the center’s youngest employees. “If we don’t make these investments now, we pay later. We see what’s happening with addiction, with mental health issues, with poverty. People need opportunity and they need opportunities for jobs,” she said. Program Coordinator Christina Gonzalez said she hopes to be able to continue to pay volunteers in the future..
“All of them have volunteered here for years, but any time we can give a little incentive, a little more than just a field trip, that’s a good opportunity for them. And they’re also gaining job skills,” she said. The Spanish American Center’s youth program typically enrolls about 100 kids during the summer. Gonzalez said this year’s program focused on healthy living and teaching kids about nutrition, obesity and the importance of exercise. “It’s also an important transition into the school year,” she said. The attorney general’s Healthy Summer Youth Jobs Grant Program has helped to create nearly 200 different jobs this summer through $300,000 in grants paid for through settlement funds collected by the state from companies engaged in unlawful activities. Healey said the money donated to the Spanish American Center was paid for through health care settlements and that her office was also able to donate nearly $4,000 to pay for positions at the Boys & Girls Club of Fitchburg and Leominster. This was the first time the Spanish American Center was awarded the grant. “We certainly had been aware of the program and were delighted to see it come in as one of the applicants,” Healey said. “They do a lot with a little and you see that in the commitment of the staff.” Follow Peter Jasinski on Twitter @PeterJasinski53. BOSTON — Attorney General Maura Healey, who announced that her office is awarding $300,000 in grant funding to 70 organizations across the state to fund nearly 200 summer jobs for local youth focused on health and well-being, will visit Leominster’s Spanish American Center Wednesday morning. “Summer jobs empower young people to gain new skills and contribute to their communities,” said Healy in a press release about the grants. “Through our healthy summer youth jobs program, nearly 200 young people from across Massachusetts will work in jobs in government and nonprofit organizations focused on health and well-being,” she said. AG Healey will kickoff the third year of her Healthy Summer Youth Jobs Grant Program with a site visit in Leominster to the Spanish American Center at 9:30 a.m. Joining Healey will be State Rep. Natalie Higgins, Leominster Mayor Dean Mazzarella, and Leominster Interim Police Chief Michael Goldman. This year’s Healthy Summer Youth Jobs Grant Program is funded with $300,000 in settlement money from the AG’s Office. Beyond increasing employment for young people in the grant funding will allow teens to hold jobs that include working in a community health center, counseling at a summer camp about nutrition, leading cooking classes, and working at a farmer’s market. Examples of jobs that have received funding from the AG’s Office include working as a coach teaching young people about healthy eating, a bilingual health educator, a camp counselor teaching physical fitness and healthy living habits, serving meals to younger kids, designing a community health research project and running a farmers’ market. Board member Mary Yanneth Bermudez Camp talks about the Spanish American Center in Leominster as it prepares to celebrate its 50th year in operation. SENTINEL & ENTERPRISE / Ashley Green Sentinel and Enterprise staff photos can be ordered by visiting our SmugMug site. LEOMINSTER — Defining the Spanish American Center isn’t easy. What started 50 years ago as a way of easing the transition process for Spanish-speaking immigrants has since grown into a beloved community center and resource for housing, food assistance and a medley of other social and economic issues for not just Hispanics and Latinos but the community at large. The center actually turned 50 last year, but staff and volunteers hope to celebrate at their annual block party sometime this summer outside their Spruce Street building. The center has been at its current location only since 2003, when it was able to purchase its own facility. Before that, it had moved through five different locations over the years. When the center first opened in 1966, it was based just outside downtown Leominster at 305 Whitney St. “There was a great deal of Hispanic immigrants, especially coming from Puerto Rico, who were coming to Leominster and being employed in the plastic factories, which was what attracted them to this area,” said Lionel Reinford, who served as the center’s director from 1975 to 1980. “There was no way for them to acquire the skills they needed; that’s why this organization was started.” Reinford said he first came to work in Leominster as a bilingual teacher in 1973 and he’s seen a lot change in the community, as well as the general perception of the Spanish-speaking population since then. He recalled being in graduate school when he heard of one study from the time that claimed people who spoke English as a second language were less intelligent than the country’s native English speakers. “That thinking has since gone out the window,” he said. Another major change has been the demographics of the people the center is helping. When Miggie Velez, who serves on the center’s board of directors, started working at the center in the late ’90s, a large portion of the people the center’s staff were coming into contact with were undocumented immigrants. “Every day we used to have a line outside of people waiting to get in because the people who are undocumented have that many more needs to take care of,” she said. “We’ve seen a decrease in that community in this area, but that’s not to say that it doesn’t still exist.” Velez referred to one particular incident when she had been working with roughly 20 students at one of the center’s after-school programs when she was told that half the children’s parents had just been taken away by immigration services that same afternoon. “It was 9 o’ clock at night, and we had young children, babies, who were still waiting for their parents,” she said. Velez and center Director Neddy Latimer spent the next few days not only finding places for the children to stay, but also scouring the community for any other children that might have been left alone after their parents were taken away. Since then, Velez said the center has come full-circle, because the largest demographic currently being helped are once again Puerto Rican immigrants who, in many cases, are trying to escape their home’s current economic downturn in search of better employment opportunities in the Leominster area. While it’s still called the Spanish American Center, board of directors member Cherly Boissy pointed out that the center has an open-door policy to any local resident in need of help. “This center doesn’t just help people who are Puerto Rican or Colombian or Guatemalan or Mexican. They help anyone who comes through the door,” she said. You may find many Hispanic or Latino residents who benefit from the center’s programs and resources, but the total population of people you might find on Spruce Street in a given day has become that much more diverse. David Murphy of Leominster has become a regular guest at the soup kitchen the center sponsors alongside Ginny’s Helping Hand twice a week and has only missed six meals over the last year. “I came here not knowing what to expect, but they treat you like a king,” Murphy said, adding that he also relies on the soup kitchen as a place for him to socialize. “Usually I’m all alone, and it’s me against the world. I come here and I feel like I’m at home.” Charles Cristofono is another frequent guest at the center’s twice-weekly lunches who also praised the resources available to those in need. “It’s a pretty good service they put on here for people,” he said. “You see a lot of the same people who come in here.” Latimer said she sees the center’s work as primarily sharing information and referrals for the community. Their services include domestic-violence resources, English classes, and after-school programs. In addition to their soup kitchen, they also prepare meals for local students and operate a food pantry. The center also offers bilingual services, including tax preparation, translations, mediation services and health seminars. Looking ahead to the future, center staff and volunteers plan on being able to offer the same programs to the community, and new ones as well, but they also hope their work will lead to less poverty and less need for their services. In the meantime, they’re happy to see how the community has changed for the better over the last half century. “Having the community come together, work together, and embrace each other is something I’ve always wanted to see happen,” Latimer said. “And it’s finally taking place.” Follow Peter Jasinski on Twitter and Tout @PeterJasinski53. By Peter Jasinski pjasinski@sentinel andenterprise.com LEOMINSTER — For years, the Spanish American Center has been a resource for empty stomachs in the city and beyond, but a new initiative has bolstered center’s ability to feed hungry students. Partnering with the Department of Education’s Child and Adult Care Food Program, the center has been able to offer free after-school meals to local students Wednesdays and Thursdays each week. “I sat down with Susan O’Brien, our grant writer, about 1 1/2 years ago to discuss the idea,” said Neddy Latimer, the center’s executive director. “We wanted to really be able to offer something that would be after school.” Since it began March 21, the meal program has been offering dinners and snacks at four sites in Leominster and Fitchburg, and the center is expanding to three more. As of Wednesday, O’Brien estimated that as many as 150 children are being fed through the center’s new program. Latimer said the students’ ages vary. “It could be middle school students at age 11 to ones that could be as old as 18,” she said. The two days a week that meals are served to students by the Spanish American Center also coincides with the same two days the center holds an after-school program intended to prepare high school students for their lives after graduation. “The hope is that they come for the meal but stay for the other resources we offer,” said Christina Gonzalez, a center volunteer who coordinates the after-school programs. Aside from being served meals, the students coming to the center are also able to take part in leadership workshops and career planning. “It’s important because we need to know how to present ourselves in front of a future boss if we want a job,” said 13-year-old Sky View Middle School student Devee-Ana Douglas, who takes part in the program with her two sisters. The Spanish American Center also is continuing to offer other programs like its summer meals program and the food the center delivers to homeless families living at the Days Inn in Leominster. By Peter Jasinski, pjasinski@sentinelandenterprise.com Sunday, April 10, 2016 – 10:24 a.m.
LEOMINSTER — When Shawn Wright wakes up in the morning he’s greeted by a view of a parking lot and the on-ramp connecting North Main Street and Route 2. Until a few months ago, this was the same view for members of the roughly 100 homeless families living at the Days Inn. But the views have been changing lately, at least for the families lucky enough to find a new place to live. After the state switched over to funding rent vouchers for homeless families instead of paying for hotel rooms last year, the occupancy rate at the Days Inn has drastically fallen from its high-water mark of 96 rooms filled. Currently, hotel staff estimate only 10 rooms are occupied by homeless families. The hotel also expects to have all of its rooms vacated by next month, at which point an extensive reconstruction project will gut most of the rooms, preparing them for the return of hotel customers. The building’s second floor is occupied only by the teams of construction workers removing any trace of the floor having been used as a homeless shelter. The first and fourth floors remain empty but largely untouched. On the third floor are the remaining homeless families, including Wright, his wife, Sarah, and their sons Austin, 11, and Noah, 10. “For the most part, I’d say it’s been traumatic in a lot of different ways,” said Wright, who moved into the Days Inn in September 2015. The Wrights had been moving from place to place throughout the South, staying with relatives of Sarah Wright before choosing to try to relocate in Massachusetts. For Shawn Wright, a Leominster native, returning home seemed like the best bet. After plans to stay with another relative fell through, the Wrights were able to stay at Worcester’s Friendly House shelter program from July to September before being placed at the Days Inn. “It’s been humbling for sure, very, very humbling and stressful,” Wright said of the seven months his family has lived in their hotel room. “It’s been a major life experience for all of us.” The room in which the Wrights live is a setting duplicated in many of the other rooms on the hotel’s third floor. It’s the same standard layout of any traditional hotel: two beds separated by night-stand and, positioned along the opposite wall, a desk, a chest of drawers and a TV. The space is further filled in by most of the Wrights’ worldly possessions. Crates of toys, boxes of food, suitcases and storage bins line the walls like a layer of insulation, filling in the limited space that much more. Because both Shawn and Sarah are on disability, income is limited. But despite the lack of space and savings, the Wrights were still able to celebrate Christmas this past year. The family purchased a small tree they were able to display in their room, as well as some presents. “My kids aren’t going to suffer because of a situation their parents are in,” Shawn said of the family’s Christmas. “We tried to go all out.” Like the Wrights, Sarah Allen, who lives down the hall with her mother, Susan, and 5-year-old daughter, Sophia, is also on disability. “At one point, every floor here was families. I would say maybe 10 percent were working families, and the rest were all on welfare,” Allen said. The Allens have had a longer stay than the Wrights at the Days Inn, having arrived at the hotel in January 2015 after leaving their home in Chelsea. “Since day one, I’ve had nothing but problems. We’ve had almost no hot water for the last nine months, I’ve had to boil hot water in our microwave just to be able to bathe my daughter,” she said, adding that nearly all of the family’s meals from the past year have been prepared using the hotel room’s microwave. Though she recognizes that living in a hotel is better than having to live on the street, Allen is not without her complaints. She alleges that cockroaches have been a common sight throughout their stay and that the hotel has experienced what she referred to as an “epidemic” of bed bugs and head lice. “I’ve seen drugs, fights, threats. … There were verbal and physical threats made against me,” Allen said of the time she witnessed one resident punch a child in the forehead. However, Allen admits these kinds of incidents have become less frequent in recent months as families have steadily left the hotel. The movement of homeless families into new homes has also been seen elsewhere in the community. 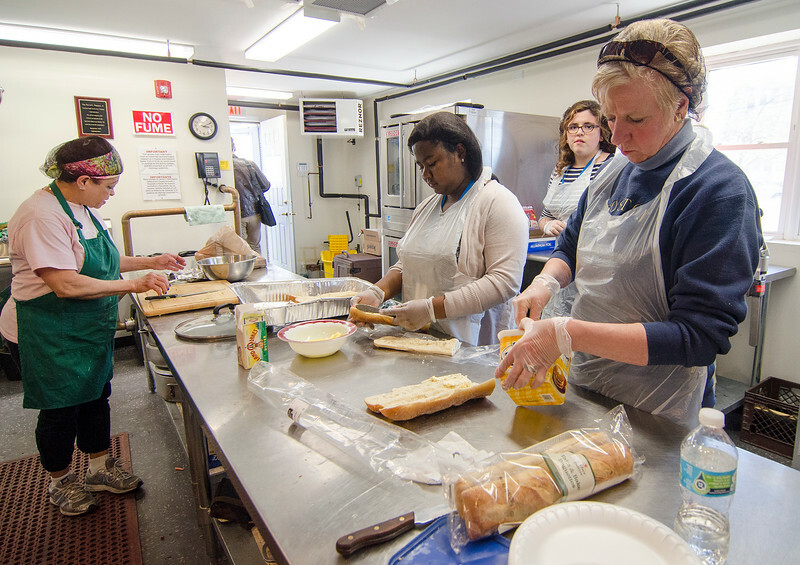 The Community Café, a free meal program organized by members of St. Mark’s Episcopal Church in response to the growing number of homeless families, closed just last month after being open since May 2014. “The families were slowly being moved out, so our last night we had only six people attend. The first year or so we were serving anywhere between 70 and 120 people each Tuesday night,” said the Rev. Jim Craig. The Spanish American Center also became involved, transporting meals to families at the hotel twice a week, but has seen its numbers go down in recent months. “In January, we were doing 250 to 260 meals because of all the children, but now we’re down to just 50 meals,” said Neddy Latimer, the Spanish American Center’s executive director. Partnership opens soup kitchen at Leominster’s Spanish American Center Sentinel & Enterprise January 15, 2016/PETER JASINSKI LEOMINSTER — Members of the local homeless and low-income population have a new guaranteed place to eat, thanks to a soup kitchen that’s been established by the Spanish American Center and Ginny’s Helping Hands. “Hunger has become such an important issue and, by doing this, we’re hoping to provide a big service,” said Neddy Latimer, the Spanish American Center’s executive director. The soup kitchen opened Wednesday at the Spanish American Center, 112 Spruce St. “A few months ago, Neddy had mentioned to me that she wanted to open a soup kitchen, because there isn’t currently one in Leominster that’s open to the public,” said Sue Chalifoux Zephir, director of Ginny’s Helping Hands. “The point right now is to feed people warm meals while it’s cold out,” said Sue Chalifoux Zephir, right, director of Ginny’s Helping Hands. She’s joined by Spanish American Center Executive Director Neddy Latimer, second from right, and volunteers Danielle Pierce, left, and Pat Freiss. SENTINEL & ENTERPRISE / PETER JASINSKI Aside from a breakfast offered by Pilgrim Congregational Church, Chalfoux Zephir said she could not think of any other locations in Leominster where the homeless could regularly go to receive a free hot meal. The kitchen will be serving meals from 4 to 5 p.m. on Wednesdays and Thursdays to people living in the Leominster area. In the months since Latimer decided she wanted to open a soup kitchen, she and Chalifoux Zephir had been working to gather a combined $4,500 in grant funding to pay for the meals. Food is provided by Ginny’s Helping Hands and prepared at the commercial kitchen at the Spanish American Center. “We hope this goes through April because the point right now is to feed people warm meals while it’s cold out,” said Chalifoux Zephir. “But we would love to continue on with it.” Many volunteers from Ginny’s Helping Hands will also be on staff at the new soup kitchen to lend a hand, including Pat Freiss, who said she’s had people coming into Ginny’s looking for hot meals in the past. “Sometimes I have pre-made sandwiches I can give them, but that’s the extent of it. It’s not the same,” said Freiss. 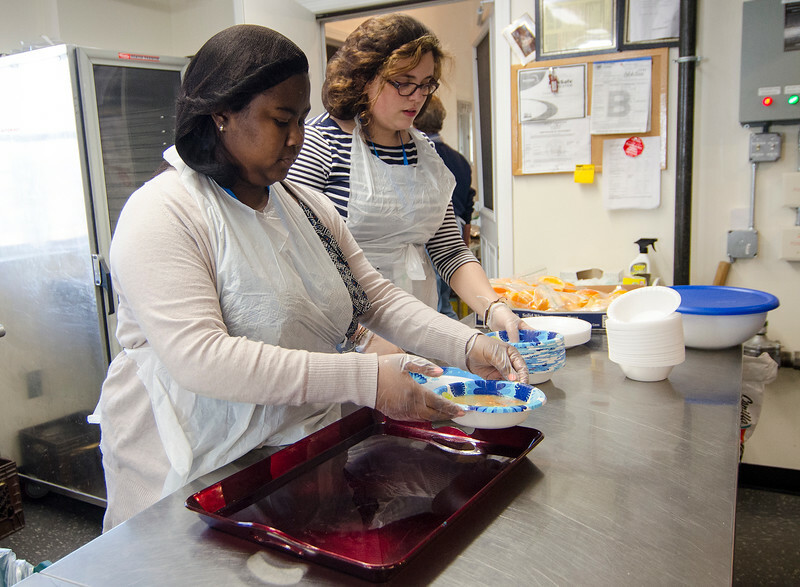 The Spanish American Center already prepares meals for low-income students and for the homeless residents living at the Days Inn two days a week. While Chalifoux Zephir praised the efforts to feed people living in shelters, she said the new soup kitchen is intended to primarily serve a different group of people in need. “There’s this whole population living out on the street who are alone and in need,” she said. “They’re cold and they’re hungry.” Latimer said the center is also waiting on the approval of other grants so they can further diversify services to the community. “We have five or six programs just waiting for the approval of different applications we have submitted,” she said. Until then, the soup kitchen will continue to serve hot meals to whoever wants one. Chalifoux Zephir said there is no maximum number of meals they can serve each night and no shortage of seats available. 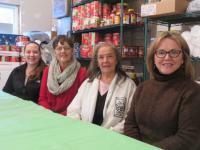 FALLON COMMUNITY BENEFITS PROGRAM END HUNGER INITIATIVE. ———————————————————————————————————- Sentinel And Enterprise 10/22/2015 Local agencies to host breast cancer awareness program LEOMINSTER — UMass Memorial-HealthAlliance Hospital Fitchburg Family Practice, the Leominster Spanish American Center Inc., and the Simonds-Sinon Regional Cancer Center invite you to a free community education program on Breast Cancer Awareness. The event will be held on Wednesday, Oct. 28, at noon at The Leominster Spanish American Center, 112 Spruce St., and includes light refreshments and raffle prizes. There will be experts from both UMass Memorial-HealthAlliance Hospital Fitchburg Family Practice and the Simonds-Sinon Regional Cancer Center to answer questions about breast examinations, symptoms and treatment of breast cancer and resources available in the community. The program will be conducted in both Spanish and English and is appropriate for all adults interested in breast health education. For information and to register, call Neddy Latimer 978-534-3145, Ext. 118. 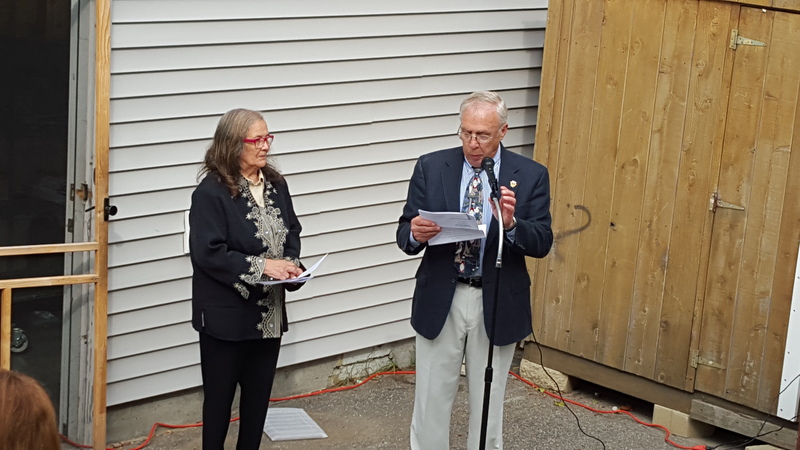 LEOMINSTER — After two years of planning and months of construction, the Spanish American Center formally opened its new “cocina” and activity center in honor of the late David Higgins Jr., a former board member and longtime supporter of the nonprofit agency. 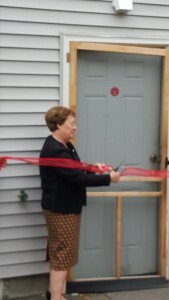 “It’s quite fitting and proper to have the kitchen chosen to wear David’s name,” said Higgins’ wife, Janice, who was on hand Tuesday during the dedication of the 720-square-foot annex to the center on Spruce Street that services the area’s Latino and Hispanic community. Equipped with a large, walk-in refrigerator, commercial-sized stoves and a fire-suppression system, the kitchen allows the staff and volunteers to prepare about 1,500 meals each day during the summer for disadvantaged youths at 18 sites in the Twin Cities, Gardner and Clinton. 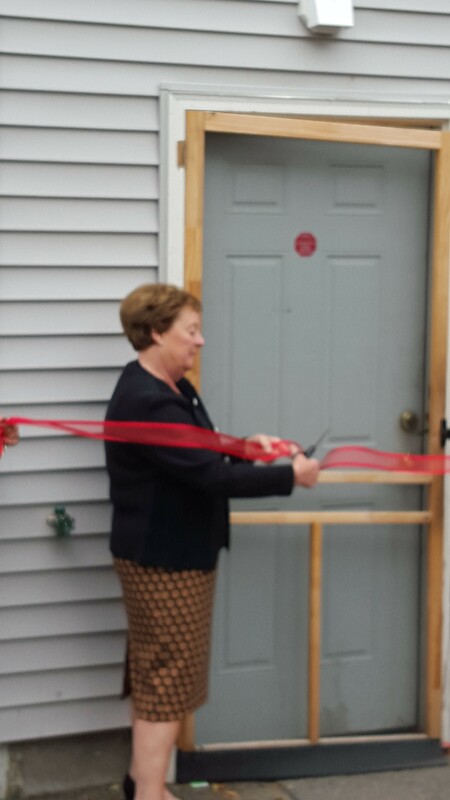 Mrs. Higgins cuts the ribbon, officially opening the new facility – The David Higgins Cocina and Activity Center! Angelita Santiago, Educator uses language skills to help children succeed. Educator Angelita Santiago spent much of her career helping children with special needs. John Gendron, Leominster’s deputy fire chief, receives a $11,550 grant from the Community Foundation of North Central Massachusetts as Phil Grzewinski, president, looks on. (COURTESY PHOTO) LEOMINSTER — The Community Foundation of North Central Massachusetts on Thursday announced 30 grants totaling nearly $500,000 to local organizations. “What continues to impress me is the quality of the programs that we had the opportunity to support,” said Phil Grzewinski, president and CEO of the Community Foundation of North Central Massachusetts, as the grants were announced at Apple Hill Farm. Ten of the grants were made from the foundation’s general endowment fund, which includes support from seven named funds: ABM General Endowment Fund; Allen & Barbara Rome General Endowment Fund; Brown/Peterson Family General Endowment Fund; Gerald E. Bieler Memorial Endowment Fund; IC Founders Society Endowment Fund; KRC Family Endowment Fund, and the W. Kylee McCumber of Leominster receives a $10,000 grant from the Community Foundation of North Central Massachusetts for her Kylee&#8217;s Kare Kits for Kidz Kylee McCumber of Leominster receives a $10,000 grant from the Community Foundation of North Central Massachusetts for her Kylee’s Kare Kits for Kidz program, which provides food assistance to students attending Leominster Public Schools. The Leominster Fire Department received an $11,550 grant for a fire prevention program that will allow for the purchase of 150 stovetop fire suppression units. 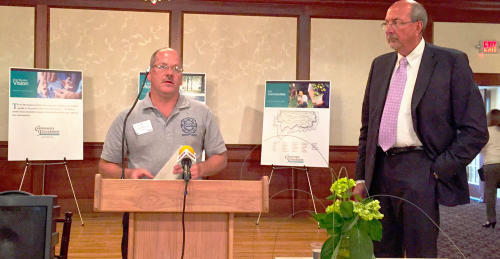 This program will benefit Leominster residents who are the most at risk for cooking fires. A $5,000 grant was made to Community Legal Aid of Worcester for its North Worcester County Emergency Shelter Advocacy Project. Field trips for Leominster Public School students to Fitchburg Art Museum were made possible through a $6,000 grant. A $5,000 grant to the Gardner Public Schools will be used for GLEAM-Gardner Learning & Enrichment Absolutely Matters-which will offer afterschool activities to students in grades 5-7 from Gardner Middle School. Literacy Volunteers of the Montachusett Area, Fitchburg, received $4,178 for its literacy program. A $12,000 grant to LUK Inc. in Fitchburg will be used for its North County Runaway & Homeless Youth Training/Technical Assistance program, which provides training, technical assistance and a public awareness campaign, so that young people who are vulnerable to homelessness or are homeless in Northern Worcester County experience fewer barriers and more efficient referrals for services. The Montachusett Interfaith Hospitality Network in Leominster, will use a $15,000 grant for its Community Connection Project, which builds community partnerships to support its homeless clients by identifying and fostering the skills needed to become self-sufficient. Siblings Connections in Somerville received a $5,000 grant for camper recruitment in North Central Massachusetts. This will allow for siblings within the foster system to spend quality time together, in an entertaining, educational venue. A $15,000 grant will be used for child court advocacy by The CASA Project, which is based in Worcester. Veteran Homestead Inc. in Fitchburg will use a $5,000 grant for its elder-care program. A fund established for environmental causes and animal welfare made seven grants: * ACE Central Massachusetts, Fitchburg, received a $9,884 grant to neuter and microchip pets for low-income families. * A $3,954 grant to Ashburnham Conservation Trust will be used for improving Broadhurst Point, a public space located on Lake Watatic. This parcel allows the only public access to the lake. * Clinton Greenway Conservation Trust received a $10,000 grant to acquire a rail trail in Clinton, which will be used to access nearby open space. This acquisition is hoped to act as a catalyst for other neighboring organizations embarking on similar rail trail projects. * A $15,000 grant to Growing Place Garden Project will be used to create teaching gardens, which will help people of all ages to learn how to grow, harvest and use their own fresh, healthy produce. * Massachusetts Audubon Society Inc. in Princeton received a $4,000 grant for a science-education program designed for third- and fourth-grade students and teachers. * A $15,000 grant to Mount Grace Land Conservation Trust, Athol, will be used for community conservation. * The Nashua River Watershed Association in Groton, received a $10,000 grant to help middle-school teachers meet the new state science and technology engineering standards. A fund established for organizational development made five grants: * Beacon of Hope in Leominster received a $10,000 grant for a capacity building initiative, which will fund a thorough organizational assessment leading to the creation of a strategic plan that will set priorities of the organization. * A $10,000 grant to Devens’ Loaves & Fishes will be used for a training program to help the organization’s staff and volunteers enhance effectiveness and efficiency. 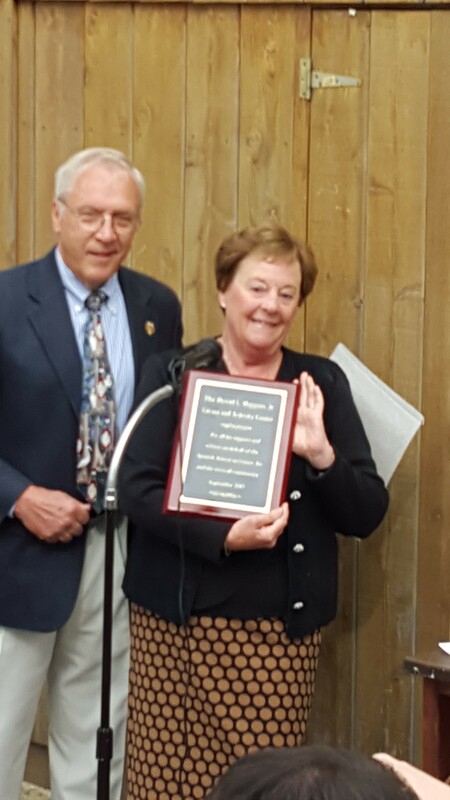 * North County Land Trust in Leominster received a $12,500 grant for a capacity-building project. * A $7,500 grant to North Quabbin Citizen Advocacy, Orange, will be used for succession and transition of the organization’s founding director. * United Neighbors of Fitchburg will use a $15,000 grant toward strategic capacity building for sustainability. * A fund established for critical needs made $137,141 in grants: * Kylee’s Kare Kits for Kidz, Inc. of Leominster received a $10,000 grant to provide food assistance to students attending Leominster Public Schools. LEOMINSTER — Significant damage caused by a burst water pipe last week at the Spanish American Center has forced it to move to temporary office space at 14 Manning Ave.
Several local and state officials served lunch at the Spanish American Center in Leominster as part of an awareness effort for the Summer Food Services Several local and state officials served lunch at the Spanish American Center in Leominster as part of an awareness effort for the Summer Food Services Program offering free breakfasts and lunches to children. From left are U.S. Rep. Jim McGovern; Rich LeTarte, chairman of the board of directors of the Spanish American Center; Leominster Mayor Dean Mazzarella; state Rep. Dennis Rosa; and Miranda E. Miranda, branch chief for the Community Nutrition Programs of Special Nutrition Program. SENTINEL & ENTERPRISE / Ashley Green Sentinel and Enterprise staff photos can be ordered by visiting our SmugMug site. 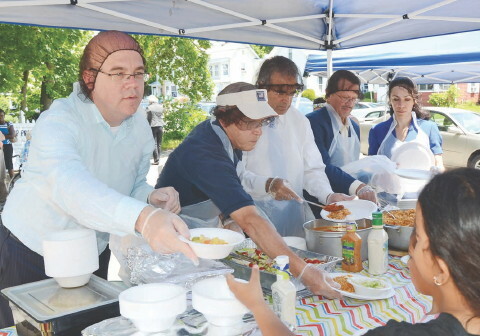 LEOMINSTER — State and federal officials went on a barnstorming trip through the state Monday raising awareness of the Summer Food Services Program, offering free breakfasts and lunches to children who are eligible for free and reduced meals during the school year. They stopped at the Spanish American Center on Spruce Street where Executive Director Neddy Latimer and her volunteers were serving meals for more than 800 children spread over 16 sites from Fitchburg to Gardner. “We’re here for one reason and that is no child should go hungry in the summer,” said U.S. Rep. Jim McGovern, D-Worcester. It’s noteworthy the center has added one of the city’s motels where the state is housing homeless children as a serving site this summer, said Katie Millett, executive director of the Department of Elementary and Secondary Education’s Office of Nutrition, Health and Safety Programs. The program is vital because many children go hungry during the summer, said Executive Office of Health and Human Services Secretary John Polanowicz. Greater participation and support for the program will lead to more federal funding, he said. “We want them to be outside and active but we don’t want them to be hungry,” Polanowicz said. That means even though 293,345 children are eligible for the Summer Food Service Program statewide, only about 53,634 take part, McGovern said. Nationally, there are about 21 million children eligible for free and reduced lunches during the school year but only about 3.5 million take part in the summer program, said Miranda E. Miranda, the community nutrition programs branch chief for the U.S. Department of Agriculture. Poor nutrition during summer carries over to the school year when academic performances suffers, she said. DESE is hoping to find more sponsors and more sites to serve the meals, Millett said. The Spanish American Center gives a good return for the investment, said state Rep. Dennis Rosa, D-Leominster. “When you make an investment in the Spanish American Center you get a 110 percent return,” he said. McGovern is a strong advocate for the federal Community Development Block Grant program, which helps fund the program at the Spanish American Center, said Mayor Dean Mazzarella. Feeding the hungry needs strong political support, McGovern said. “There are 50 million people in this country who don’t have enough to eat; 17 million of them are children,” he said. “I’m ashamed of that.” Tour of sites includes stops in Greenfield, Athol, Winchendon and Worcester. For information on sites serving free breakfasts and lunches for children under 18 years old, visit www.meals4kids.org. Follow Jack Minch on Facebook, Tout and Twitter @JackMinch.